Been waiting for the complete version of the recently finished serialized novel series with Kharn. I hope its worth reading. 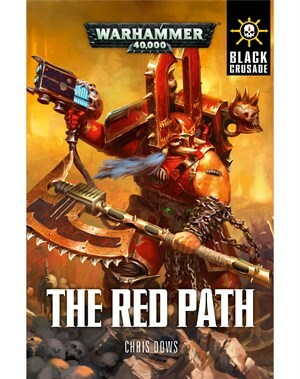 Edit: I just noticed the Black Crusade tag on the cover. Is this a new book series? No. If you recall the Sanctus Reach and Shield of Baal related products they sported the exact same branding, marking them as part of an overall narrative. It means there will be more Black Crusade related stories coming, and eventually they'll be collected together like Sanctus Reach has been and Shield of Baal will be later in the year. Thats what I thought, a series with the black crusade branding. Finished it, was an enjoyable read and much better than the first Kharn book. Though they weren't by the same author. I rate it 8/10. Questions like that can get the site in trouble. Please don't ask again. Last edited by Khorne's Fist; 10-27-17 at 09:20 PM.